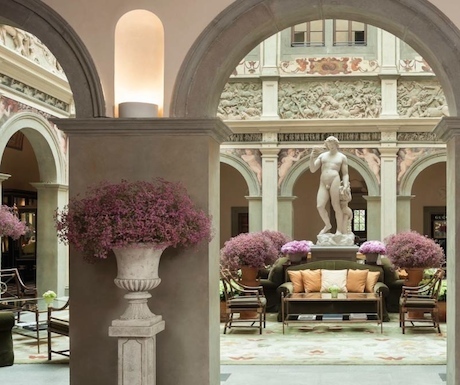 The Villa San Michele is a 15th Century monastery near Florence in Italy that has been transformed into a picturesque hotel. Surrounded by its own gardens and woodland on the Fiesole hills, it is tailor-made for starry-eyed lovers and moonlit nights. This small, luxury, Orient-Express hotel is of unsurpassed beauty in an oasis of peace.